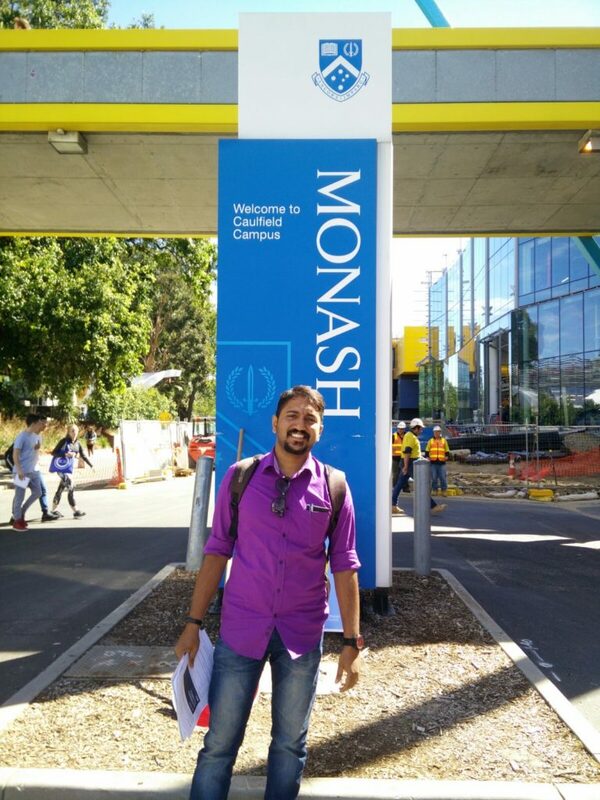 Goodbye IZE Creative, Hello Australia – Vijay S Paul’s 2nd Innings. I sold off my company and have now shifted to Australia for my Masters. Things started changing in May 2016. My company IZE Creative had reached a level of optimal stagnancy and I didn’t have the skills enough to scale it up to the next level. Moreover, I was dying for a change of atmosphere and felt the urge to uproot myself. It was then that my friend Ajin and couple of my mentors – Suresh Sir and Mini Ma’am, coaxed me to try for pursuing my Masters abroad. For someone who took nearly 5 years to complete his engineering, higher studies was never on my list. But the thought of exploring a pristine culture and surrounding myself with the new and unexpected did feel like a challenge I wanted to face. Thus began my journey of finding what exactly I wanted to study, “if” I actually would decide to pursue my higher studies. It took me almost 3 months to actually decide that and another 3 weeks to decide on the preference of colleges. For some reason, maybe intuition, I didn’t focus on US and instead started exploring Universities in Australia, especially Melbourne, which has been the top city in the world for students, for 6 years straight. As this research was going on, I received a couple of offers for buying off my stake from the company. IZE Creative had been doing great for the past 5 years and was generating absolutely wonderful content and we had a client retention rate of over 90%. By November 2nd Week I had decided on the buyer, who would be a friend of my existing partner and by December 2nd Week, I had received my offers from 3 Universities in Melbourne. As the last week of 2016 closed by, I decided on pursuing my Masters of Communication and Media Studies with Monash University, ranked 17th globally for the subject, and the procedures of clearing the financials of selling off my stake were also done with. So, without taking a penny of loan from the bank or from home, I paid off the First Semester fees of my University and confirmed my admission. Needless to say, from September 2011 when I started the company with just a laptop and internet connection, I was myself proud of having come a good deal of a way. Maybe not the best achievement you would see around you, but definitely an awesome one for me. And my dad’s smile said it all. Yes, it did hurt like hell selling off my stake and disassociating myself with IZE Creative. It’s like giving up your own child for adoption. But one has to move on to move ahead and that’s all I have done, in the long run. From our first office in the Store Room of a Dental Clinic to starting off offices in two cities. From best friends backstabbing to strangers acting like guardian angels. From the verge of bankruptcy to YoY profit of 285% at one time. From starting off as a lone man army to reaching our maximum strength of 8 at one time. From being expelled from my own home for not getting “a job” to seeing my dad’s eyes proud with happiness, I have seen it all. And now, as I start off on my new innings, I request your wishes. Wishes not to make things easy for me; they never have been. But wishes that I maybe able to survive through the storm and come out unscathed. All the very best wishes Vijay…. Congratulations, Vijay! An exciting new chapter! It’s hard to walk away from something you started but you have a big future ahead of you. Keep moving forward! You’ve got this! ERIC!! Thank You, Thank You…. It’s all thanks to your and Prasant’s support from way back in 2011. The motivation and support you guys provided were exactly what a new kid like me wanted. We did miss you. And after this particular article, we’ll miss you more! Thank You very much Sir. Appreciate all your support.